If there is one thing I really hope my daughter does not inherit from me it is my loner tendencies. I like to be by myself or with my close family and a few select friends. I always remember being this way; I never cared to join in with others and hated cliques and groups. I often quote Groucho Marx’s famous line, “I don’t care to belong to a club that accepts people like me as members”; however, I could probably just stop at the word ‘club’. Although it does not bother me since I am quite content being at home with just Bob and Brooke after work, I really do not want my daughter to be like that. Friends are a good thing and you make friends by being a good friend. 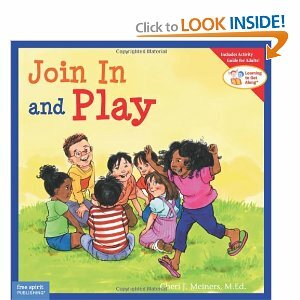 Join In and Play from the Learning to Get Along Series by Cheri J. Meiners is a wonderful read for kids who may have trouble joining in or making friends. It offers simple and sound advice perfect for a child, such as ‘When I see someone I’d like to play with, I can walk up and smile as I say hello’. It shows kids in real situations and offers solutions on what to do if someone is being mean or if things do not go their way. The end of the book has a fantastic Activity Guide for Adults on how to reinforce ideas learned in the book and ‘joining in’ games to play with your child. As a self-described loner, I found a lot of the tips very useful such as encouraging your child to be kind to children who are new or looking for a friend. If Brooke happens to take after my anti-social ways as opposed to her super social father, I will at least feel armed with this tool to help encourage her to reach out to others and be kind and friendly. About Author Cheri J. Meiners: Utah native Cheri J. Meiners has a rich history in education (she holds a Masters in Elementary and Gifted Education) and is also a mom of six and grandmother of one. Cheri’s ‘Learning to Get Along’ series includes 15 books that stemmed from stories she wrote for her own six children and the series has earned many top awards. Check out Cheri’s website to see all the books in her series including Respect and Take Care of Things and Cool Down and Work Through Anger. 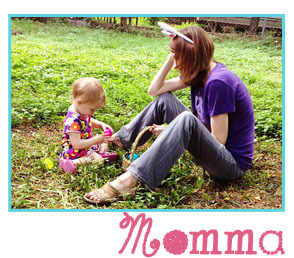 These are very empowering yet gentle books with great messages for children. Thank you, Cheri! About Free Spirit Publishing: Free Spirit publishing has an excellent motto of ‘Meeting kids’ social and emotional needs since 1983’ and they have the catalog to back up this mission. There is so much good stuff on their website, that I really just encourage you to check it out and see what might interest you. I personally like their free Professional Development webinars, especially the webinar on Preparing the Next Generation of K–12 Student Leaders by Mariam G. MacGregor, M.S. For those looking for some great early education empowerment books, check out the author Elizabeth Verdick who has a great series called Toddler Tools.